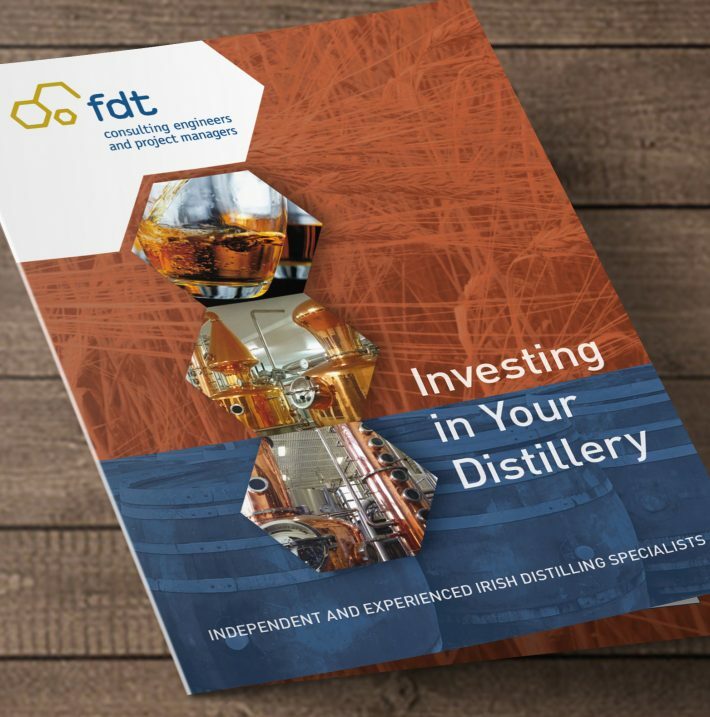 This client is a specialist supplier to distilleries and breweries throughout Ireland and the UK. When they approached us, they had an existing logo, but did not know how to extend it to build a brand. This project had to tell the story, while at the same time using elements and colours from the existing logo to build out the brand. The images used show from the barley to the distillery barrels. 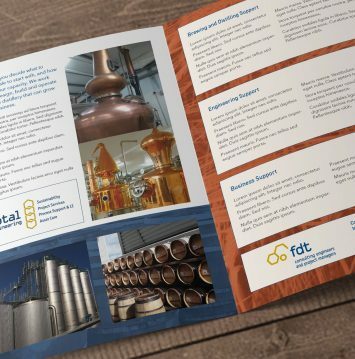 Alongside images of the work FDT completed in various distilleries, shown in the hexagon shapes to echo the logo. The use of interlocking hexagons cleared a white space to make the logo stand out.